Do you struggle to accurately, quickly and consistently measure the specific gravity in your core samples? 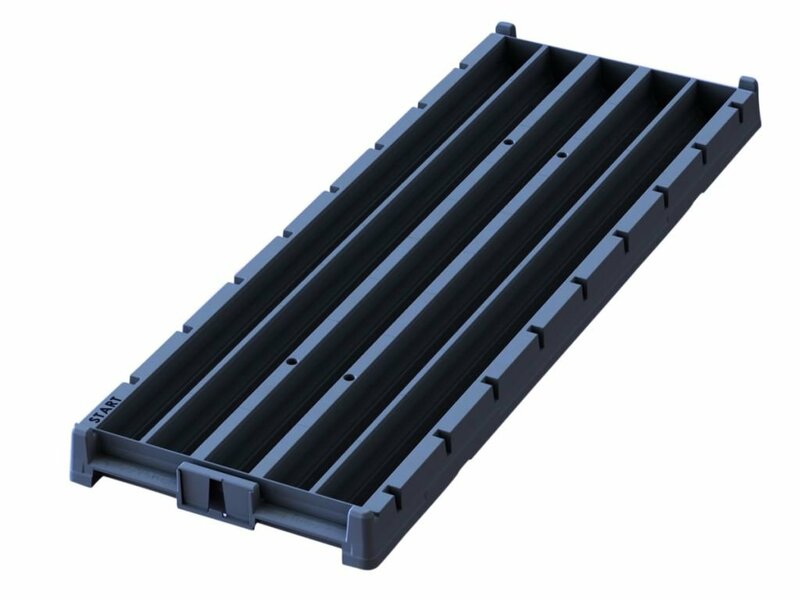 Many times Geologist's & Field Techs have asked us; 'There must be a solution to achieve this, especially with high volumes of core being processed?' So the journey towards innovating, developing and building an Automatic Specific Gravity (SG) Weighing Station began! So maybe you are used to a Manual SG station? Whether in a stainless steel tank, or as simple as using the site wheelie bin - most of us have been there when it comes to improvising! The real question is how much time are you waiting for the scale to settle and how accurate is your reading after settlement? Our customers have reported this can be up to 1 minute or longer for each reading - we invite you to do the physical test yourself! We'd like to submit to you, if you no longer had to wait any prolonged period of 'settling' time and could guarantee accuracy up to 2 decimals places within 2-3 seconds what impact what that have on your site financial efficiency and save in your time? Or maybe you don't do SG measurements in any volume now because it's always been that little bit too hard? If you could achieve this with absolutely simplicity what impact could that have on the value of the data you could gain out of your hard earned core samples? They cost enough to extract we'd submit to you it makes sense to gather as much data as physically possible from what you have. I’ve ever used in my 8 years in the industry. The scales settle quickly and it’s very user friendly. Well worth paying for to gain the extra efficiency with this task that can often be tedious." Firstly the basket weight is zeroed out on the scales. 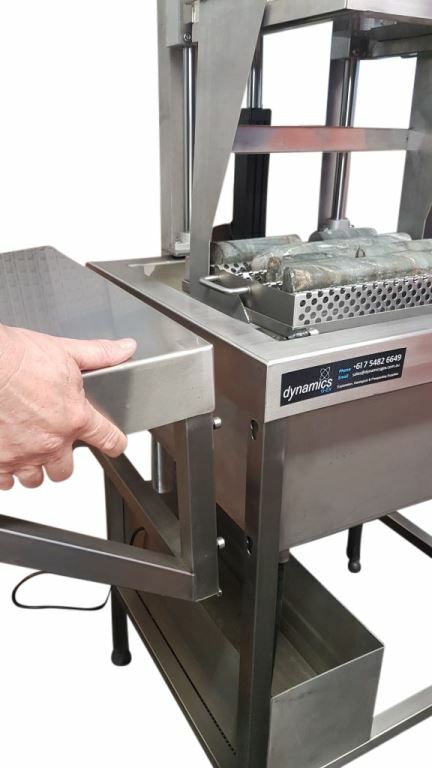 The heavy duty stainless steel basket is then loaded with up to 1.4 metres of core sample. The basket is then loaded onto the bottom rack which weights the dry core on the scales above it and an 'in-air' measurement is taken of the dry core. Following this, the basket is lowered into the water reservoir for a 'in-water' measurement. No need to move the basket from the top rack to the bottom rack, it's all measured from the bottom rack to stop shoulder injuries of moving a fully loaded basket. The accuracy of the reading taken in water is determined by the controlled ability to mechanically lower the basket into the water virtually eliminating scale settlement time and 'water slosh'. Secondly keeping the reservoir at a constant water level is achieved by the water being fed continuously into the main tank reservoir by the pump from the secondary water tank. This ensure the sample is measured in the same volume of water and same depth under the water every single time - critical if accuracy is important. The self leveling water outlet in the corner of the main tank then maintains the water level at a constant, regardless of what weight is lowered into the main tank. The unit is Health and Safety friendly with the whole movement control of the unit coming from the wired control switch that is fitted with a dead man switch, so the instant the operator takes their finger from the button the unit will stop. The whole unit being subject to a wet environment is built from an stainless steel construction which ensures the longevity of the unit that is built to last in the mining environment for years. 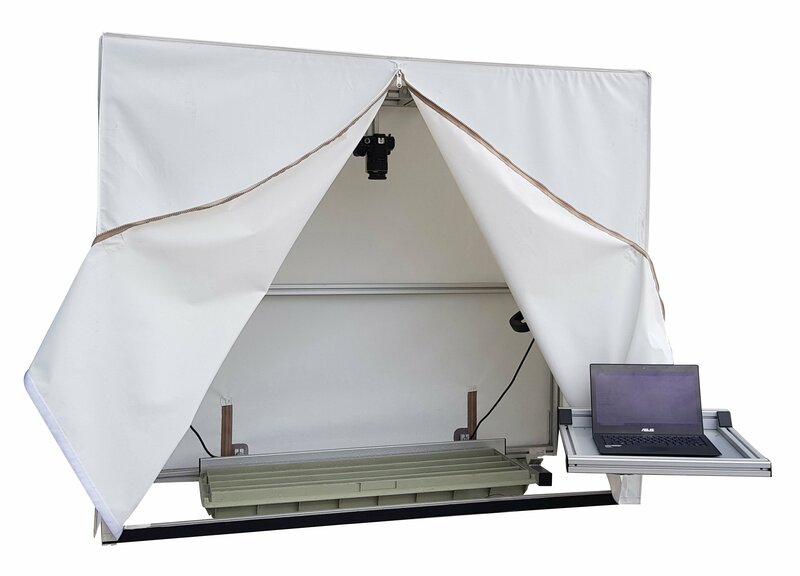 Like any accurate performing equipment, to ensure the accuracy is not compromised and that the moving parts don't foul up, especially the rails in which the lowering weighing table operates on, the operator must keep the unit dust free and clean. An enclosed, dust free environment just next door to the core shed is ideal. 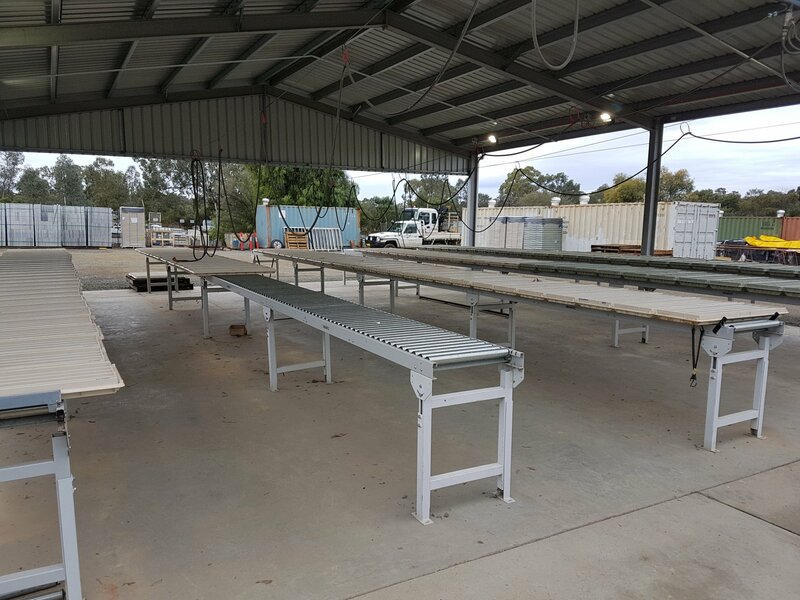 We have built and seen operations with a roller racking in-feed straight from the core shed into an enclosed modified shipping container, where the operator is in a comfortable environment weighing the core, and then an out-feed back into the core shed for the processed core trays. Talk to one of our Geological Products Specialist next time you are in contact! 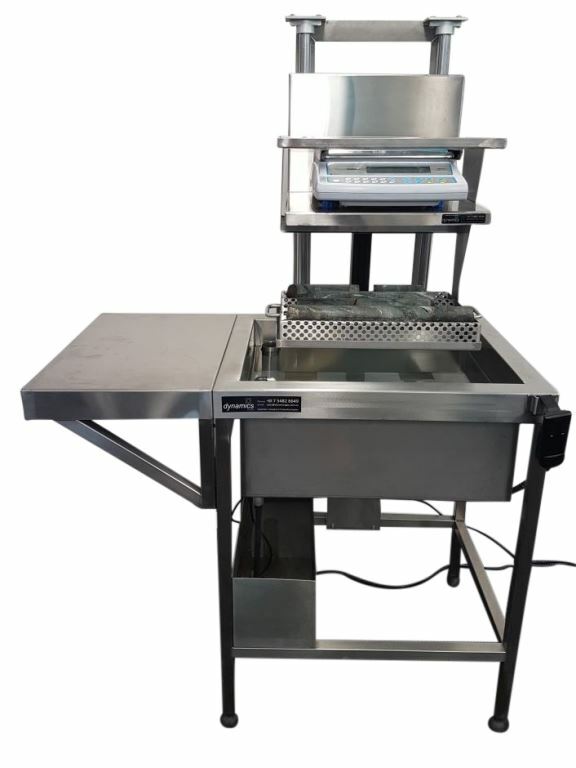 To allow for extra working bench top the unit has keyholes cut in both sides of the machine on the legs, which means that you are able to fit the Heavy Duty Stainless Steel shelf to either the left-hand or right-hand side of the weighing station, dependent on what suits the space you have on site. 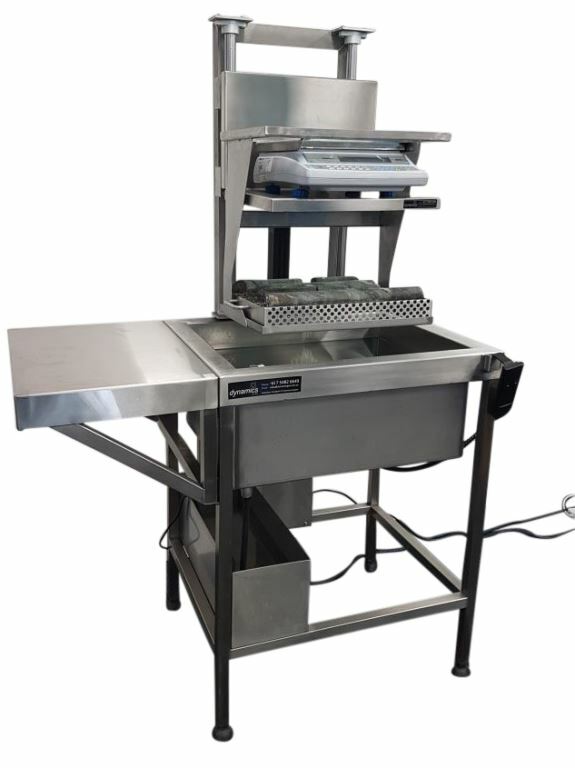 As standard the unit comes with one shelf, but an addition shelf can be supplied upon request if you'd like to have working bench top on either side of the weighing unit. This is an extremely low maintenance unit. Requirements are for the operator to apply a light oil to the weighing table rails as required. 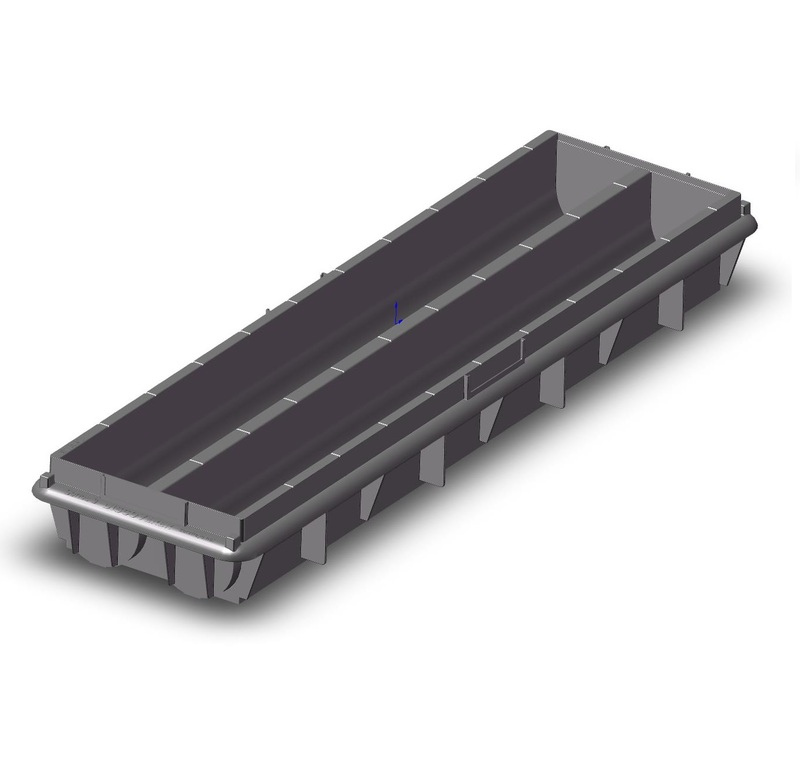 Keep the unit in a dust free environment for accurate operation. Keep the supply tank topped up as required.